Today, Ranking Member Frank Lucas issued the following statement in response to reports that Rep. Henry Waxman (D-CA) and Agriculture Committee Chairman Collin Peterson (D-MN) reached a deal for how the agriculture community will be treated in the Waxman-Markey bill (H.R. 2454). “My initial reaction to this deal is it doesnź? ?t fix the real problems with this bill. No deal can address the devastation this legislation is going to wreak on Americaź? ?s farms. This agreement does nothing to address the higher input costs that our farmers and ranchers will invariably have to pay. This agreement does nothing to address the higher energy costs, lost jobs, and higher food prices this bill will cause. We are still looking at the most dramatic tax increase of all time and the agriculture community will be hit the hardest. I still have a lot of questions, and I think our farmers and ranchers in the countryside will as well. 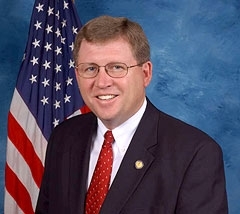 What I am hearing and reading are generalities without any real teeth to protect farmers, ranchers, and rural Americans from a bad bill that will destroy their livelihoods,ź?ť said Ranking Member Frank Lucas.